Meet the three Vancouver communities who have been chosen to take part in Green Bloc Neighbourhoods! 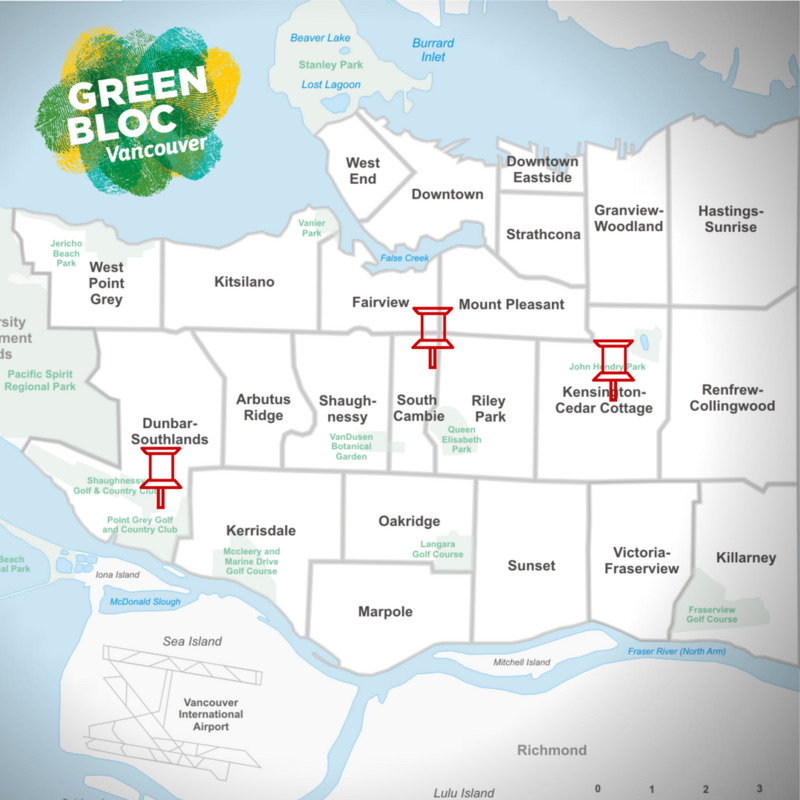 Evergreen is excited to announce the Vancouver communities chosen to take part in Green Bloc Neighbourhoods. With support from Green Bloc, along with the Sitka Foundation and the City of Vancouver, these three neighbourhoods have already started to decrease their collective ecological footprint by 15 per cent this year. Kensington – Cedar Cottage: One of the most culturally and ethnically diverse neighbourhoods in Vancouver, this group includes single family residences, apartments and duplexes, and a wide range of ages. South Cambie: Situated next to the rapidly developing Cambie Corridor, this neighbourhood includes a diversity of renters and owners, and includes St. Jude’s Seniors Residence. Dunbar – Southlands: A changing neighbourhood of quiet, residential streets lined with grand old trees, this close-knit, grassroots oriented group of long-time neighbours have already painted a road mural and created a safe walking campaign for their community. Don’t forget, if you’re not part of Green Bloc, you can still take part and make a difference. Read more about some simple ways you can change your neighbourhood — and your city.